Micro-Star International (MSI Gaming) will be participating in the World Consumer Electronics Expo organized by WorldBex this September 21 to 24, 2017 at World Trade Center, Pasay City. 11am to 6pm, at the Halls A, B, and C. The admission is free. MSI Booth is located at 212. WOCEE a four-day business-to-consumer trade expo showcases the latest technological innovations from here and abroad. To introduce the Filipino consumer market and enables visitors from across the country to navigate, explore, to see, feel and hear first-hand exciting consumer electronics in terms of features. From personal electronics — personal computing, virtual reality gear, mobility — to revolutionize the technology industry with the state-of-the-art IT systems and products. The venue is open for free to consumers, entrepreneurs, gamers, technology enthusiasts, professionals and also students can cultivate the experience also into your homes as WOCEE 2017 will be turned into a huge department store lets them purchase all their technology needs. Micro-Star International (MSI Gaming) itself will be selling and bid certain units on the event. WOCEE will be also the host of other events inside the venue that is specifically to educate consumers, students, and visitors on site. This includes series of seminars on the latest technology trends, Tech Product Forum Discussion, Product demonstration, and launch. Micro-Star International (MSI Gaming) has booth located at 212, and during these 4 days, visit MSI booth and check out and Enjoy the Big saving with MSI Exclusive Sale plus get MSI Premium Items for free when one purchase an eligible MSI Notebook, not only sale but MSI will be holding an Auction sale promotion “Bid & Own an MSI Laptop”. Minimum 10 bidders per Auction Sale session. 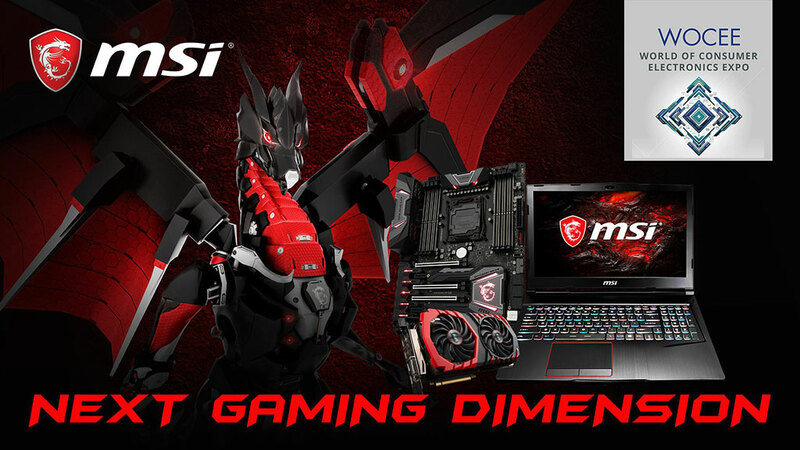 You can check out more info about it via MSI VR READY, MSI GAMING Products, and MSI Facebook.